The IP Finance weblog welcomes the latest guest post from Keith Mallinson (WiseHarbor) on a subject which he has really made his own: the subtle interplay of sometimes competing and sometimes congruent private and public interest in the shaping of the dynamics of the market for the licensing of technology in the information, communication and telecom sector. This post touches on a topic that has been the subject of all-too-little discussion in IP circles. IP rights help to establish the existence of winners in the marketplace -- but who gets to decide who those winners should be? Government attempts to favour and promote certain business models, companies and technologies are justifiably criticised. The UK Cabinet Office’s proposed policy to mandate the use of only pre-selected, royalty-free standards in public ICT procurement is similarly flawed. This will limit choice by foreclosing many popular open standards, numerous products which adhere to them and companies who depend on upstream licensing revenues. The Open Standards Board responsible for implementing this policy will face significant governance challenges in ensuring impartially in standards selections. In contrast, free-market processes allowing competition among a much wider array of open standards and software licensing maximises customer choice across many different government departments, fosters innovation, reduces lifecycle costs and enables obsolete or poorly performing standards to be superseded. Mandating particular standards and discriminating against or excluding royalty-based business models in government procurement constitutes hazardous industrial policy for the UK. The government is the largest UK ICT spender on with annual expenditures of approximately £18 billion in recent years. Direct and likely indirect consequences of this large purchaser on the ICT marketplace, such as explicitly or implicitly obliging citizens, as well as government suppliers of other goods and services, to adopt the same standards, would be significant with this policy. Governments have a history of making bad decisions in championing particular companies, technologies and business models. For example, the Inmos semiconductor company received £211 million from the UK government in the 1970s and 1980s with its strategy to produce commodity D-RAMs and develop its “transputer”, but the company foundered, did not become profitable after many years and was sold to SGS-Thomson in 1989. The UK is effectively nonexistent in semiconductor manufacturing today. The UK’s “fabless” semiconductor companies such as ARM, Picochip (acquired by Mindspeed Technologies in 2012) and Icera (acquired by NVIDIA in 2011) rely on partners including foreign “foundries” to fabricate their designs. State monopoly France Telecom forced adoption of the Minitel videotext online service in the 1980s by withdrawing phone books and spending billions giving away the terminals to citizens. 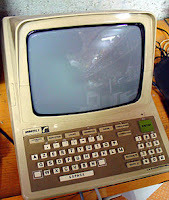 The associated technological standards and equipment manufacturers made minimal headway with Minitel technologies abroad and were eclipsed by the advance of the Internet in the 1990s. 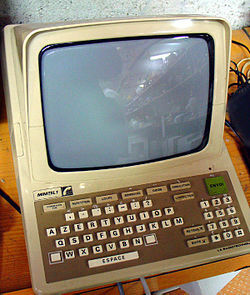 Minitel provided consumers with their first means of online access. However, views on long-term benefits to French consumers are mixed. Resistance to replace the entrenched home-grown standard caused France to be a laggard in Internet adoption. In contrast, supporting entire industry sectors where a nation has strategic strength is more justifiable and attracts widespread support from various commentators. For example, clustering of complementary and competitive companies can be beneficial. In these circumstances, market forces spur competitive behaviour, including some Schumpeterian “creative destruction”, which helps eliminate the sclerosis and risks that come with monoculture. For example, Silicon Valley in California provides a fertile technical and commercial environment in which various business models and many ICT companies, standards and products have flourished while others have failed. A key stated objective with the proposed Cabinet Office policy is to level the “playing field” for open source and proprietary software. It is, therefore, perverse that standards based on Fair Reasonable and Non-Discriminatory (FRAND) licensing and requiring patent fees should be the principle target for elimination with this policy. The policy will automatically also exclude many proprietary offerings that are based on those standards and which cannot practically be adapted to other, royalty-free, standards. In many cases, such standards are widely implemented by many suppliers and are used by the vast majority of business customers and consumers. The cabinet office seeks to mandate specific royalty-free standards to achieve various objectives including cost reduction and avoiding vendor lock-in, as well as making ICT solutions fully interoperable. However, a report entitled Better for Less, published in 2010 by Liam Maxwell, now Deputy Government CIO and the proposed policy’s champion, identifies that most UK government ICT spending is with systems integration companies including HP/EDS, Fujitsu Services, Capgemini and IBM. The Government's over-reliance on large contractors for its IT needs combined with a lack of in-house skills is also a "recipe for rip-offs" according to a report by the Public Administration Select Committee (PASC) in July 2011.These suppliers are typically deeply embedded with long-term contracts that government finds difficult to unravel. Software represents only a relatively small playing field in comparison to others in ICT spending. According to Forrester Research figures, market segments where open source software competes or combines with proprietary software products represent just 12.4% of $2.5 trillion total global business and government ICT expenditures including operating system software (1.0%), non-custom-built applications (6.7%) and middleware (4.7%). In comparison, IT services (11.6%) and outsourcing (9.8%) combined represent 21.5% of spending. Computer equipment represents 13.9%. The $2.5 trillion total appears to exclude very significant costs for internal staffing. Software licensing costs are included even in modestly-priced PCs. The PASC report also indicated it was “ridiculous that some departments spend an average of £3,500 on a desktop PC”. A 2011 Cabinet Office press release stated it would “end poor value contracts such as those where Government departments and agencies paid between £350 and £2,000 for the same laptop”. The response to a government procurement freedom of information request on this matter by fullfact.org shows that while these prices actually represent totally different PC specifications, the proprietary operating system and office document software is identical in each case, with differences relating to microprocessors, displays, wireless modems and functionality such as fingerprint recognition accounting for the very large pricing disparity. The proposed policy states that standards selection will be limited to software interoperability, data and document formats. The scope of these terms is unclear. And, in the next few years it will become even more difficult meaningfully to separate standardisation in these from other domains. The consultation’s terms of reference make the invalid assumption that software is distinct from hardware and that telecommunication is distinct from computing. Evidence weighs against these arguments with increasing technological convergence and other changes in ICT. Smartphones and tablets are becoming the dominant computing platforms in our personal lives and at work. Similarly, PCs have overtaken mainframe computers and revolutionised ICT usage since the 1980s. Communications is intrinsic to these new mobile devices and is increasingly integrated with most desktop PCs including web, and cloud-based usage where demarcations between software, hardware and service are submerged. Video is becoming most prevalent. According to long-standing Cisco CEO, John Chambers, in a recent Bloomberg Business Week article, “Every device, five years from now, will be video. That’s how you’ll communicate with your kids, with work.” Switching video standard is nothing like the peripheral task of simply replacing or adapting the mains plug on a TV set. Interoperability standards for video compression and encoding are highly complex algorithms that are deeply and extensively embedded in the workings of core hardware and software. Around one third of Internet traffic is streaming video and mobile video traffic already exceeds 50%.Virtually all of that conforms to FRAND-based standards requiring patent licensing, including AVC/H.264 (MPEG 4 Part 10) with most widespread adoption. Standards requirements change with technological innovations and shifting user needs. It is very difficult for any centralized government administration to anticipate or react with the dynamics of ICT supply and demand. Competition among standards is highly beneficial. Market forces precipitate occasional revolutionary changes with new standards displacing old standards (e.g. HTML substitutes for videotext standards such as that used by Minitel) and continuous, incremental improvements to existing standards (e.g., HTML5 replaces previous versions of HTML). Changes in user preference and demand can be difficult to predict. For example, within a few years of the introduction of Apple’s iOS-based iPhone in 2007 and Google’s Android in 2008, former smartphone market leaders Nokia and RIM, each with its own operating system software, were completely up-ended. The highly innovative capabilities with the new software platforms and devices have succeeded because they are very different to and much better than what they have replaced. Different government departments have diverse needs. Whereas interoperability among UK government departments is important, so is optimising interoperability and access by end users, commercial partners and international organisations. Defence requirements can preclude the most widespread propagation of interoperability and encryption standards. Maximising functionality, security and interoperability for patient records among health authorities will be compromised by imposing standards that are chosen to accommodate requirements in education. From a user’s perspective, functionality and interoperability with other users trumps supply-side considerations including the number of prospective ICT suppliers and lowest price. While seeking to eliminate licensing fees, open source software and royalty-free standards do not ensure lower overall costs. On the contrary, there is significant evidence that open source is no cheaper than proprietary solutions, including total ICT lifecycle costs with project implementation and support. In many cases, total costs may also be lower with technical efficiencies and large economies of scale that arise from the implementation of popular royalty-charging standards. It is practically impossible to create some high-performance ICT standards without infringing any patents for which royalties might be demanded. Patent fees on popular FRAND-based standards are typically modest. Patent pool administrator MPEG LA licenses 2,339 patents it deems essential to H.264 from 29 licensors to 1,112 licensees for a maximum per unit rate of $0.20. This covers the vast majority of patents declared as essential to the standard. With around 6 billion mobile phones in service worldwide, aggregate royalties are low enough for GSM phones to be sold at price points down to less than $20. However, these fees significantly enable technology companies with upstream business models. They also allow vertically-integrated players to recoup some of their development costs from companies with downstream business models who make products but do not invest in developing the standards-based technologies. Eliminating the possibility of royalties merely forecloses upstream business models in favour of the downstream businesses, such as those that dominate government ICT spending, including hardware manufacturing, systems integration, technical support and outsourcing. Open and competitive ICT markets allow the widest range of business models and licensing practices, including royalty free standards and open source software. There are many examples of open source software running on FRAND-based standards requiring royalty fees. For example, there are various proprietary and open source software codec implementations available for the H.264 video standard. It would be nonsense to bar this standard in favour of another standard that has only tiny adoption (the most fundamental barrier to interoperability among users), inferior or unproven performance including technical compliance and interoperability among implementations. And, in the case of video, for example, it would most likely infringe some of the very same patents used by the successful standard it would be replacing. So there is a significant possibility that patent fees would be required despite wanting to wish them away. Developing a high-quality video codec standard is a formidable task drawing upon lots of intellectual property. Designing around the best technologies to avoid royalty bearing technologies will result in inferior standards and implementations. There is generally no conflict between open source licensing and paying patent royalties to third parties. In certain cases where there is conflict, this is the problem of the licensors’ making. The most stringent open source licenses; such as GNU GPLv3—in which “patents cannot be used to render the program non-free”—is seldom used because of such conflicts. In cases where licensing prohibits patent fees, the only legal solution is for such software to be written to ensure it does not infringe any IP that has not also been specifically declared royalty free by its owner. The Open Standards Board responsible for implementing the policy will face significant governance challenges in ensuring impartiality in its members and the standards selection processes they oversee. It will be difficult to recruit board members who have the required competence in ICT standards, and who as individuals, employees, or academics, are completely free of any interests in the outcome of any standards selections. Members will be affected by their other interests in specific companies, standards groups and business models. The European Commission’s approved guidelines on the applicability of Article 101 of the Treaty on the Functioning of the European Union (TFEU) for horizontal co-operation agreements recognise the importance and value of standardization agreements. These guidelines lay out a comprehensive approach for conformity of standardisation agreements with Article 101 TFEU, creating a “safe harbour” while affording standard-setting organisations significant autonomy in setting policies for disclosure of IP and its licensing terms. FRAND licensing, with and without payment of royalties, is explicitly recognised. Licensing policies of many international ICT standards-setting organisations including IEEE, ETSI, ITU-T, CEN/CENELEC are consistent with these guidelines and the charging of patent fees on their standards. It would be a travesty to exclude their standards from government usage in the UK, even if this was only on the basis of attempting to do so for what the Cabinet Office delineates as software interoperability, data and document formats. The UK Government policy defines a preference towards open standards (as in standards not encumbered by royalty based licenses) in order to encourage competition and a level playing field. The UK Government policy does not mandate nor exclude the use of non open standards such as FRAND (standards encumbered by royalty based licenses). The UK policy simply promotes a preference for a level playing field and competitive markets OVER non competitive markets encumbered by self interests. This entire article is a strawman, creating a false picture of what is being proposed in order to knock it down. It's nothing more than lobbyist propaganda.